This time, if the Congress does not come to power after the election, I will leave politics. 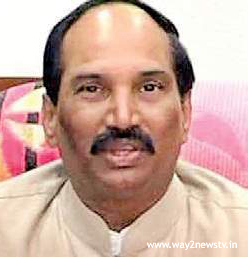 TPCC Chief Uttam Kumar Reddy threw the challenge to the KCR. If you do not got 06 seats, the KCR will get rid of politics. He addressed the Congress party in SangaReddy on Wednesday. 2 lakhs will be cleared at a time. In period of four years TRS, KCR have provoked Telangana. is not a golden Telangana.He was criticized KCR,He made a golden family. When we come into power, the Nizam Sugar Factories will be opened. TRS Party farmers have been pushed into the financial crisis. Four thousand per acre is the election magic. KCR has been accused of past rulers. He said irrigation projects are being constructed with six percent commission. He said KCR has not created one unit of electricity. The TRS government is limited to propaganda. Why Ambedkar Pranahita's name changed? He said the projects will be reviewed after coming to power. Farmer Coordination Committees are the TRS Committees. He said he would cancel them after coming to be power.